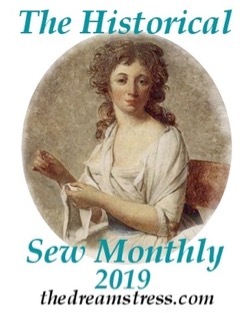 I always try to have a bit of handsewing on the go, so I have something to work on while sitting in a waiting room, or whenever else I have a tiny bit of down-time (an all too rare occurrence in my life at the moment, sadly). 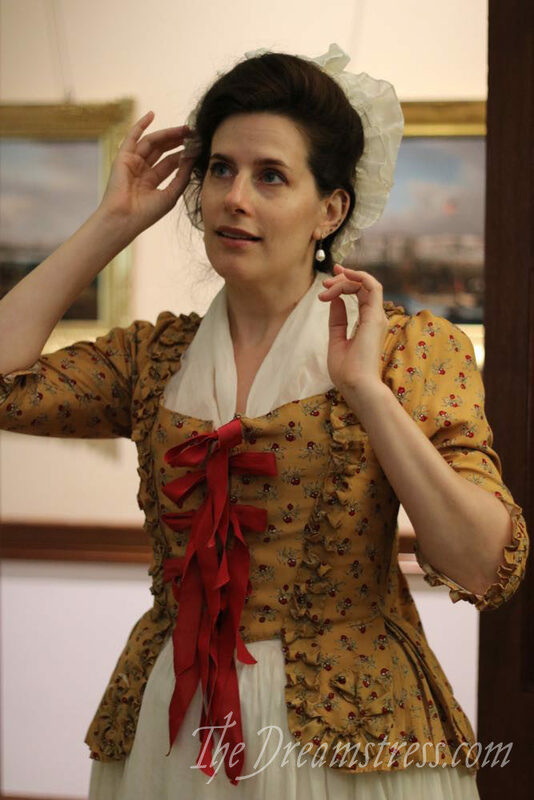 My last handsewing project was another 18th c fichu – a twin to the one I made back in December, because it’s easier to cut a square and divide it into two triangles than to cut an individual triangle, so you might as well make fichu in pairs! 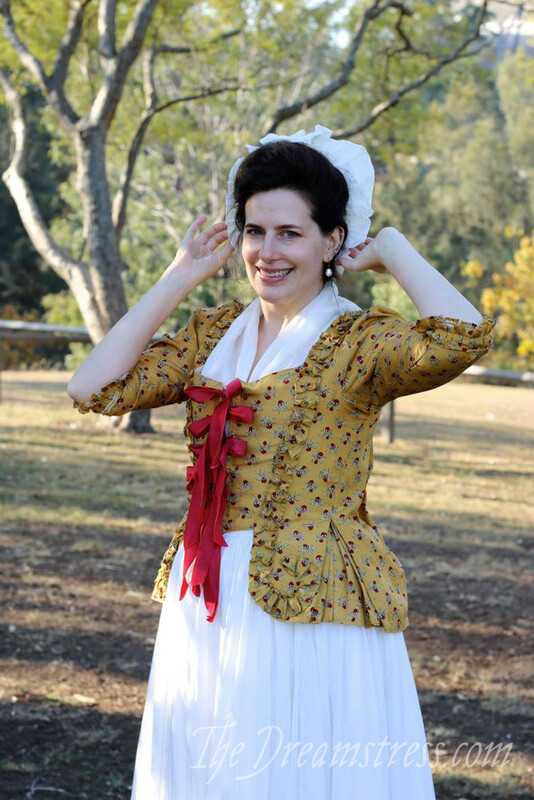 I finished my fichu on the flight to Sydney, just in time for Theresa to wear it for my talk and our photoshoot at Old Government House in Parramatta, Sydney. There isn’t a great deal to say about the fichu’s construction. * I cut it at 80cm/31.5″ along the straight edges, which creates a 132cm/52″ angled edge. The little slit in it is 12cm/4.5″ long. The slit allows it to sit nicely and snugly against the back of the neck. 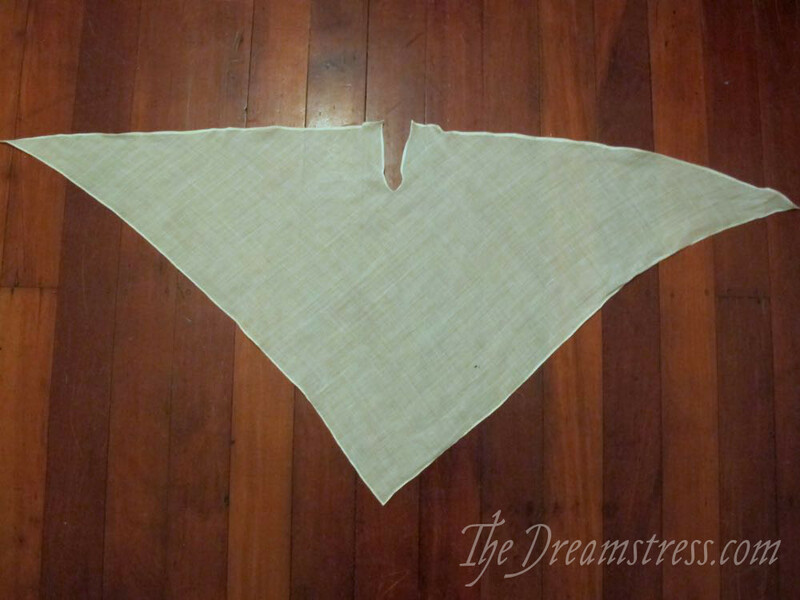 The dimensions were based off of a few museum examples, and the width of my fabric. 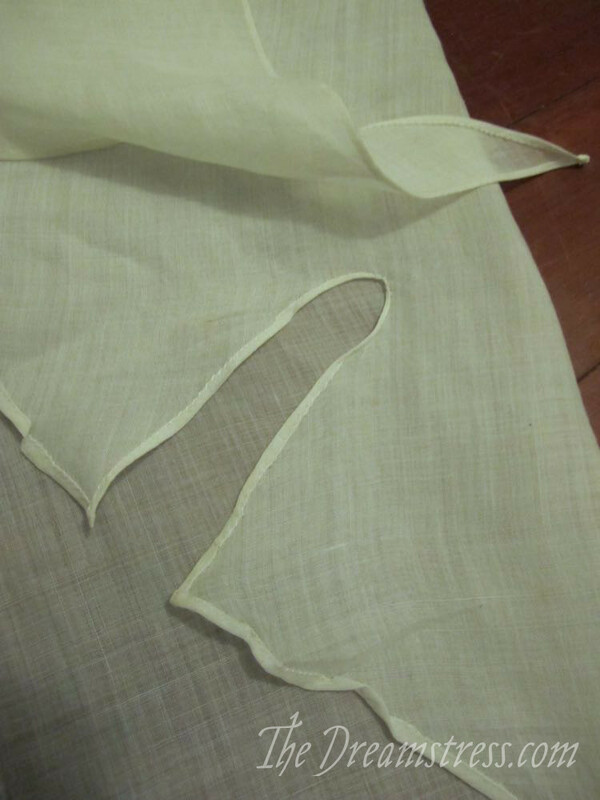 It made sense to me to use a measurement that corresponded to a fabric width, which is, I’m sure, how historical fichu were sized. 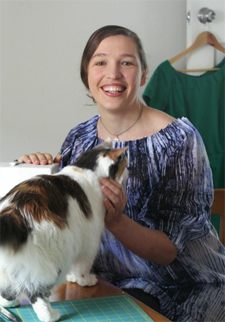 The sizing sits very nicely around the neck and across the shoulders, and is long enough to just reach the waist in front, perfectly hiding any glimpses of blue stays under the ribbon ties of the pet-en-l’aire. 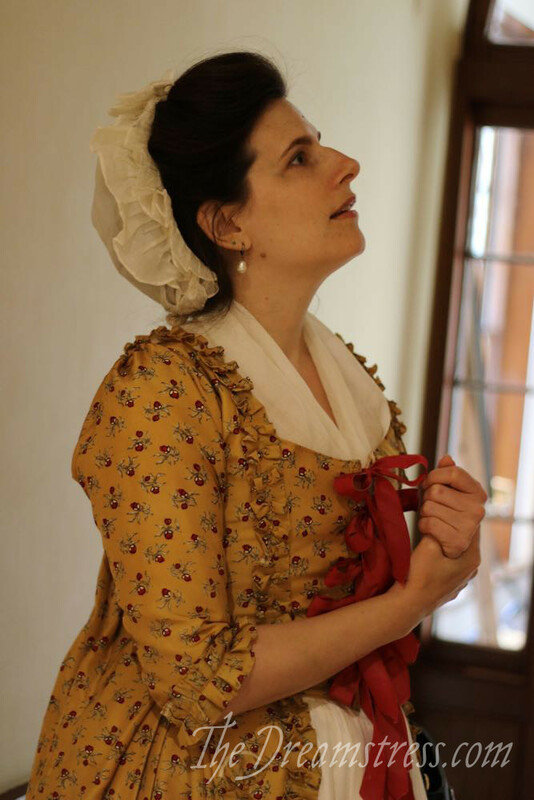 The fichu is made of the same voile weight linen that I made the 1780s cap from the American Duchess book out of. It’s hemmed with very, very tiny turned hems. 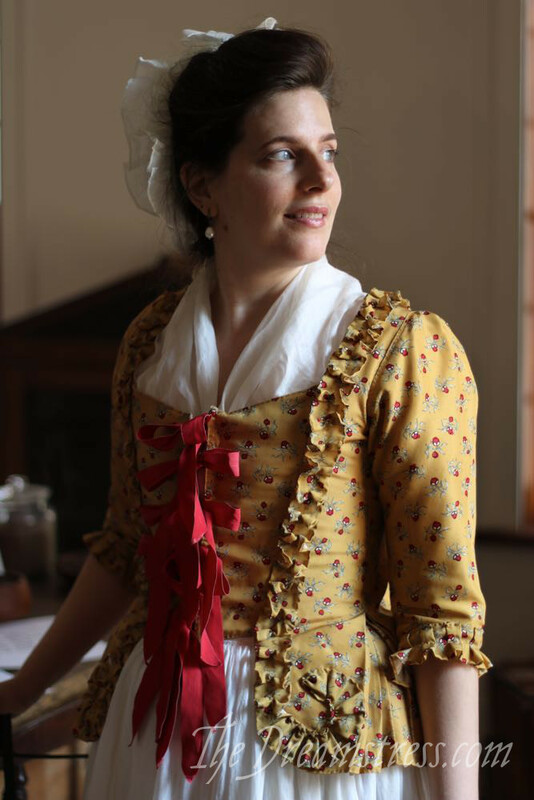 It’s not a particularly exciting item, but it’s an excellent addition to my 18th century wardrobe, and is helping to create all the details that add up to an authentic impression. 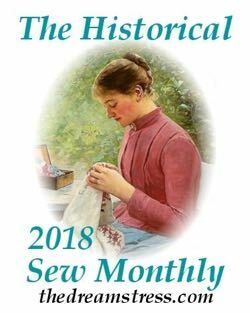 And it perfectly qualifies for the Historical Sew Monthly 2018 Challenge #5: Specific to a Time (of Day or Year). 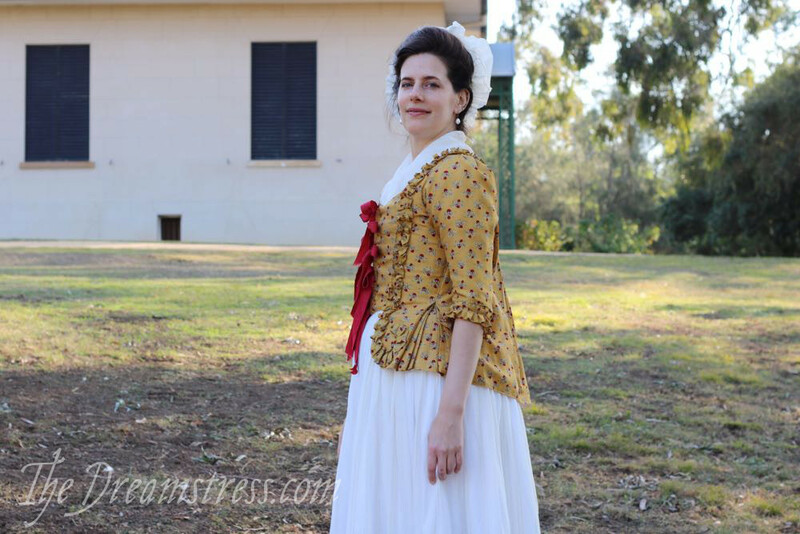 Fichu were worn primarily with daywear, to cover the neck and chest and protect them from the sun. They were also, generally speaking, more informal wear. 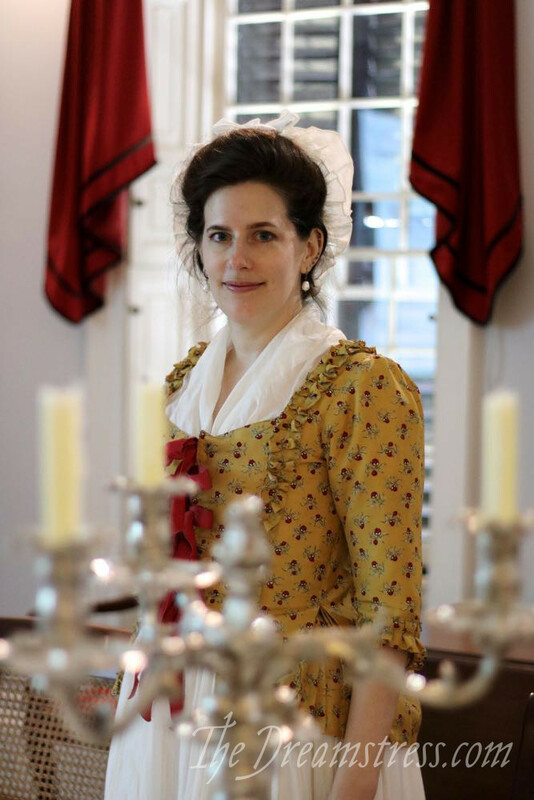 Court dress, and other extremely formal garments, would be worn with an exposed chest and shoulders. How historically accurate is it? I’m not so sure about my tiny pressed hems rather than true rolled hems, but it still can’t be very far off. Hours to complete: 3 or so – lots of little stitches! 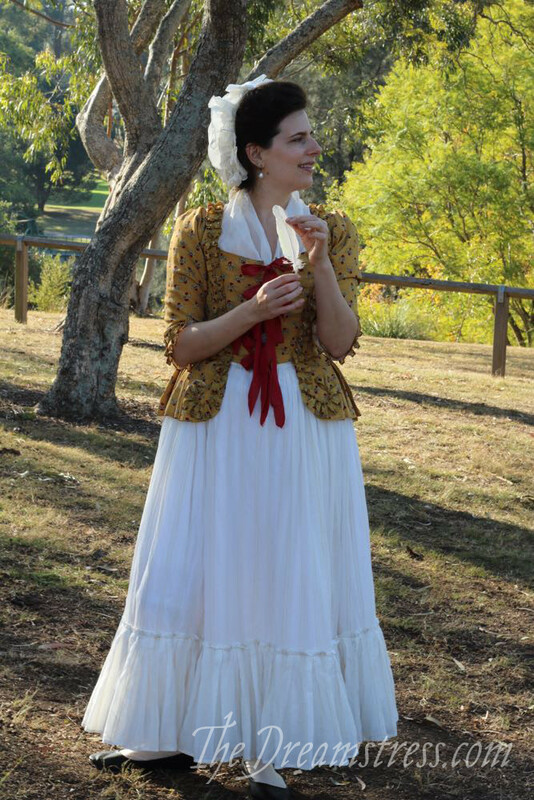 First worn: For photos at Old Government House, Parramatta, Sydney, 26 May. Total cost: $10 or so based on the amount of fabric I used. Beautiful! That linen voile is a lovely weight. Do you remember where it came from? Fine linen is a bit special. If you’re able to order from the uk, Whalleys of bradford do a fine transparent ramie which is very ncie for such things, though perhaps not so soft (ramie has a certain stiffness). Have you tried hair spray to remove ink marks? 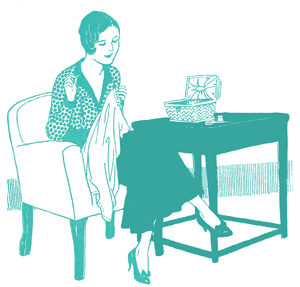 That’s what we used to use in the tailor shop and it’s always worked for me. Nice fichu, and beautiful photos! What a pity about the stain… In case it’s ballpoint ink, baby oil seems to work. As for marks, well…teaches you the zen, I guess! Ah, yes, verisimilitude! What a wonderful word. It makes one seem quite erudite, doesn’t it? 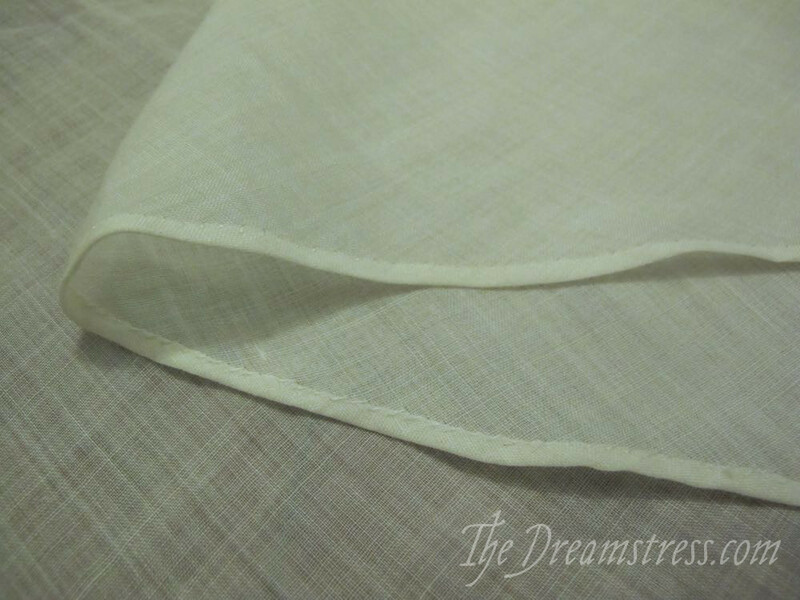 It’s really lovely in the fine linen, as is the cap of course. I want to let you know that I nominated you for the Mystery Blogger Award, Leimomi. You are such an inspiration!